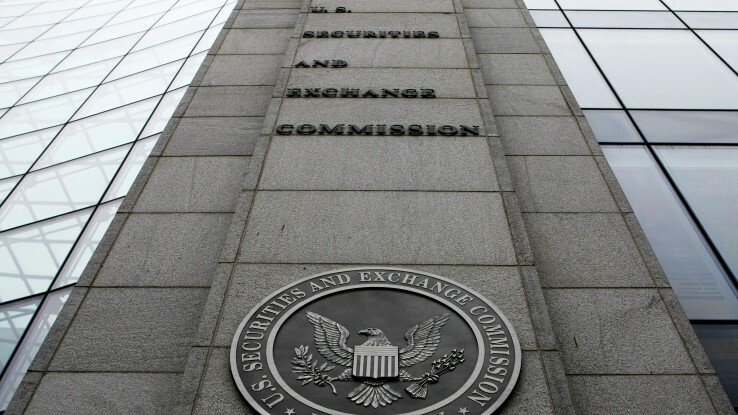 The brokerage industry would prefer that the SEC devise the fiduciary rules, fearing that the DOLs version would make it impossible for brokers to charge commissions. (Bloomberg) — Brokers and insurance agents providing retirement-savings advice would have to put clients’ interests ahead of their own under an Obama administration plan that will face stiff opposition from Wall Street and Republican lawmakers. The Labor Department proposal announced Tuesday is a win for Democrats and consumer advocates, and a setback for bankers who had angled for a standard to be set by the Securities and Exchange Commission, a more-familiar regulator. Adoption of a final rule could take six months or longer, according to RBC Capital Markets, providing plenty of time for congressional scrutiny and industry lobbying. Under the plan, brokers would have a legal duty to put clients’ interests first, a shift that could reshape how they steer clients and collect fees, and potentially create winners and losers among mutual funds and other products. The changes would extend protections to the $7.4 trillion held in IRA accounts, a common vehicle for retirement savings that barely existed when the original rules were issued 40 years ago. “This rule is intended to provide guardrails but not straight-jackets, so we know consumers are getting advice that is in their best interest,” Labor Secretary Thomas Perez told reporters on a conference call. President Barack Obama endorsed Labor’s plan in February, putting new momentum behind the effort to revise rules that affect tens of millions of baby boomers nearing retirement age and workers who don’t have pension plans. It’s also backed by Senator Elizabeth Warren, the Massachusetts Democrat who has scolded banks over their treatment of consumers. Wall Street has spent more than four years lobbying against Labor’s effort. Led by banks such as Morgan Stanley and Wells Fargo Advisors, the industry has argued that costlier regulations could take away options for smaller investors. The rule also would impose new restrictions on insurance companies such as Principal Financial Group and Prudential Financial Inc., which offer 401(k) plans to employers, according to a research note issued Monday by RBC Capital Markets. Shares of Principal and Prudential fell 3.2 percent and 1 percent, respectively, on April 10 “as investors tried to sort through what the new rule could mean in terms of lost or delayed business for these and other companies,” RBC analysts Eric Berg and Kenneth Lee wrote. Bank of America Corp., UBS Group AG, and Ameriprise Financial also stand to be affected by the change, RBC said. Perez has said that current rules allow brokers to get away with providing sub-par advice. Investors lose $8 billion to $17 billion a year to bad-broker practices such as excessive trading and recommending high-fee investments, according to a White House memo drafted in January. Instead of the current suitability standard — a requirement that investments fit a client’s needs and risk tolerance — brokers would have a fiduciary duty to recommend products that are in the best interest of customers. “The broad fiduciary duty standard strengthens the hand of the regulator in dealing with bad conduct,” said Robert Plaze, a former SEC official who is now a partner at Stroock & Stroock & Lavan LLP. The brokerage industry would prefer that the SEC devise the fiduciary rules, fearing that the Labor Department’s version would make it impossible for brokers to charge commissions. That would hamper brokers’ ability to serve investors with small accounts, who probably couldn’t afford to pay for ongoing advice, according to the Securities and Financial Markets Association. SEC Chair Mary Jo White said last month that she favors imposing a fiduciary standard on all types of retail-investment transactions. The SEC is far behind the Labor Department’s progress, however, and White warned the effort would be complex. The proposed changes would cover the roughly $11 trillion held in 401(k) plans and IRAs. Labor’s existing rules don’t cover rollovers from 401(k)s to IRAs, which can result in higher fees for investors and the need to sell assets, according to regulators. The Labor Department plan outlines how the rule would apply to interactions between brokers and their retail clients. Brokers would still be allowed to earn sales commissions and other fees paid by mutual funds as long as they sign a “best- interest” contract with their investors, Perez said. – With assistance from Doni Bloomfield and Margaret Collins in New York.